Traditional food is always healthy and we would be lucky to have in this modern life. Nowadays, our life style slowly changing to western and we started following pizza, burger, soft drinks(just sugar water). Sooner we will say bye to our Idli, Dosa as well. But, a secret of our ancestors long and healthy life is because of consuming millet, ragi in addition to rice , chappathi in a daily diet and physical work. Let's see how to make the Millet porridge which is very healthy. Asthma patient alone should ignore this food. Make a coarse powder of Millet in a mixer grinder. There is ready made millet powder available in the market. We can use that as well. But, making powder at home is preferred since we can make it as coarse. Bring to boil three cups of water in a pan. Once water hot and bubbles started, add the ground powder slowly and keep stir in parallel. So that you can avoid forming of lumps. It will cook faster and water will be absorbed by the millet powder. Switch off the flame once it gets a thick consistency. Cool down completely and make them into balls. Add water in it such a way that all the millet balls inside water. Leave it for overnight. In the next day, take a ball and add little-soaked water. Add two teaspoon of curd and mix all together with your hand. Then add chopped onion and green chilli. Add a little salt if required. Now your millet porridge is ready for your healthy breakfast/lunch. Solanum trilobatum cure cancer. It has most powerful medicinal properties. It can be used for curing Tuberculosis(TB), primary complex, asthma, Tonsilloliths, thyroid tumors and tumors raised in mouth, cheek, ear . It is a number one medicine for healing cold. We can get a permanent solution for Thyroid tumors if we use this medicine in the initial stage. To cure thyroid tumors completely, Collect 15 to 50 gram of cleaned Solanum trilobatum and grind with soaked raw rice. Then make a roti/dosa with this batter. Have at least 3 of this roti/dosa for 2 months daily. Within 15 days throat pain will be reduced. Then step by step thyroid tumors cured completely. Collect 15 gram of Solanum trilobatum leaves and boil with 500ml of water till it reduced to 200ml. Filter this water and store it. Drink this water 30ml to 40ml 3 times per day. This will cure a cough, breathing trouble, cold with fever, TB. As an alternative, we can make it as chutney or salad by taking 20gm of this leaves seasoned with ghee. To get the better result, we can eat this chutney at morning, noon, night along with rice. Having this chutney weekly twice will prevent and cure any diseases. In this method, lungs will be cleaned and protected. It will prevent and cure Asthma, Eosinophilia . It will strengthen brain nerves and increases memory power. Collect the green fruits of Solanum trilobatum and soak in buttermilk. Dry these soaked green fruits in the sunlight. Fry them in oil during snow , rainy days and use as a side dish. This will cure Asthma and Strengthen lungs. We can use the powder of Solanum trilobatum leaves. This will cure a cold and cough. It will make you hungry. Asthma and diabetes patients can use this powder continuously. We can immediately control and stop a cough, if we have this powder along with clove powder, honey. Having this powder along with cow milk will remove the faint caused by bile. Having with Buffalo buttermilk will cure anemia and produce fresh blood. We can avoid any bite poison by having this powder mixed with water. Eating hard chutney of Solanum trilobatum leaves weekly twice will cure gas troubles completely. Strengthen immunity. Enhances the sexual pleasure. 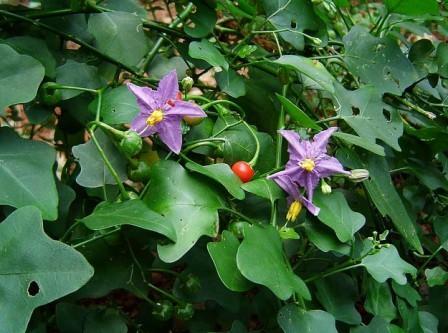 Asthma patients can drink 50ml of Solanum trilobatum daily morning in empty stomach. Boil 100ml of Solanum trilobatum juice, 30ml ghee, 5gram insulin plant (Kostam in Tamil) together and cool down and store it. Having this syrup 1 teaspoon twice a day after the meal will cure from slight cold to Pertussis. It can be feed to kids as well. There is no harm. Solanum trilobatum prevent Cancer. It will cure Throat, ovarian and Mouth cancer. Research already confirmed that this is the best medicine to cure Throat cancer and Mouth cancer. 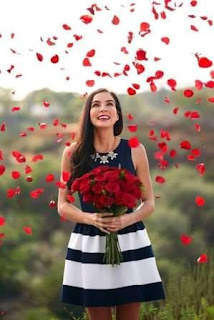 If we found cancer due to smoking and liquor drinking, those people can consume Solanum trilobatum to recover completely and return to normal healthy life. Ghee mixed with Solanum trilobatum leaves is one of the famous medicine in Siddha medicine. Having this ghee 1 to 2 tablespoon will cure tuberculosis, cough, phlegm, syphilis, diseases caused by heat, hissing, sober, flatulence, gas troubles. If you want to darken gray hair, make a paste of grated ginger with milk and apply on gray hairs and leave it for 10 minutes. Then rinse it. Follow these step at least once in a week continuously for a good result. Mix Curd/Yogurt with Henna powder in an equal ratio and apply on the gray hair and leave it for 15 minutes. Then rinse it. This step needs to be done at least once in a week. Onion juice can be applied to get natural color of hair. This can be done monthly once. Gray hair will grow if your body has more bile. For this problem, make powder of poppy seeds with Licorice in equal ratio and make a smooth paste by adding cow milk. Apply this paste on gray hair and rinse it after 20 minutes. You will get rid of sooner. To get rid of gray hair, make a paste of Amla , Eclipta prostrata and Licorice with equal ratio and rub on the hair and soak it for 20 minutes and rinse it. Terminalia chebula has the power to remove gray hair and make it black. We can apply Eclipta prostrata juice along with Terminalia chebula soaked water during bath similar to conditioner. To get rid of gray hair, keep apply coconut oil mixed with cumin seed, fenugreek seed, pepper powders. Eat few curry leaves at morning time in the empty stomach. Apply the paste mixed with Henna, Hibiscus, curry leaves during the bath. To make the actual color for hair Hibiscus oil is best. So we can apply either hibiscus oil to the hair directly or add few hibiscus flower in the hot oil then soak it for some time. And then apply on the hair daily. Mix 1 liter of Coconut oil, 1 liter of sesame oil and ½ liter of amla juice. Then boil it until the amla juice water completely evaporate. Then filter it. Apply this oil for head weekly twice to get rid of gray hair. Nowadays, many youngsters also getting gray hair. Somebody getting gray hair due to the ancestry. Worries, Tension, habit of drinking more Tea, coffee also make gray hair. Vitamin B12 will avoid gray hair. Make a paste of Henna leaves and add lemon juice and two table spoon of fenugreek powder during night time and keep aside. In the morning apply this mix on the hair and soak it for 2 to 3 hrs. Then rinse it using a Shikakai. Make sure there is no oily hair before applying henna. Have curry leaves chutney two days once. Avoid drinking Tea, Coffee more than once per day. Whole chicken Tandoori make the Dining table very rich and attractive. We would have seen this whole chicken in TV shows and movies. We would think it is difficult to make in home. That's not true. We can make it in home. Follow this steps . You will really like it. Let's see the procedure. Wash the chicken completely and remove the moisture using kitchen towel. Add all the ingredients provided in the pan and mix all together to make a spice batter. Cut 2 to 3 slits on the chicken thighs, wings and breasts each. Rub the batter on the whole chicken both top and bottom. Apply the masala inside the chicken as well. Once applied masala tie the chicken legs with a small thread. So that it will be in position while cooking. Marinate this chicken for an hour. Preheat the oven for 400°F and bake the chicken for 20 minutes. Flip the chicken into other side and cook for another 25 minutes. Now whole chicken Tandoori should be ready to serve. Take out the chicken and serve with onion rings, lemon. Try this recipe and post your comments and suggestions. try to make this recipe now. cardamon, cloves, anise star, black stone flower. Let it fry till golden color. Add curry leaves and stir it. Then add ginger garlic paste, sliced lemons and mix it. Add 4 cups of water in it and transfer this into electric cooker pan. Add soaked rice and close the lid. Cook this like a regular rice. Once cooked remove lid and spray ghee on top. Then gently stir the rice. Now the tasty mushroom & Soy chunk briyani is ready to serve.